At Canva, we’re transforming the way the world designs. 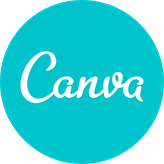 Canva's user base has grown by over 10x over the last 2 years, and serves millions of users every single month, all over the world, in over 100 languages, and across web and mobile platforms. To maintain high availability, top-notch performance, and the continued scalability of the environment as Canva grows, we've decided to grow our Infrastructure Group. We're seeking self-motivated and talented engineers to join us in our Sydney global HQ. Stable, scalable, and well-maintained systems are the foundations of our development and design processes. The Infrastructure Group's key responsibilities focus around resilience of our AWS-based environment; the development of tools to automate development tasks and pipelines for building, testing, and deployment; and finally, building shared libraries and services that all our backend engineers use to develop performant and fault tolerant microservices.